The BODY – Anthology – (Corleone) – Sixteen track compilation of b-sides and early material from 2003 – 2008. Includes a small two sided silkscreened insert. Includes covers of Danzig, Judas Priest, Ice Cube, M.D.C., Black Flag and more – – even Sinead O’Conner. The BODY/WHITEHORSE – Split 7” (aumwar/sweatlung) – Split featuring Providence’s The Body and Australia’s Whitehorse. Silkscreened sleeve. Download here. Found via google search. FANG ISLAND – Sideswiper 7” (self?) – Four song 7” w/ Dreamboys Club remix, Patterns on the Wall featuring Andrew WK and Sidepiper remix. GROOMS – Rejoicer 12” (kanine) – Look for their new album PROM later this year. HORSE THE BAND – Earth Tour DVD/BOOK (self) – Insanely lengthy SEVEN disc tour documenting their self-booked world tour. JEFF The BROTHERHOOD – We Are the Champions 12” (infinity cat) – Clear tour pressing hand-numbered out of 500. Black and white insert. TRANSCENDENTAL BLACK METAL: A Vision of Apocalyptic Humanism by Hunter Hunt-Hendrix. Liturgy’s frontman’s manifesto on Black Metal. Download and read here. TRUE WIDOW – As High as the Highest Heavens and from the Center to the Circumference of the Earth LP (kemado) – Recently profiled on NPR, this Dallas self-described “stone gaze” trio will be touring everywhere very soon for their second album. They do not disappoint. Really proud of you guys! – Deluxe gatefold edition, double-LP, hand-numbered out of 1,000. Order here along with a bunch of other goodies. 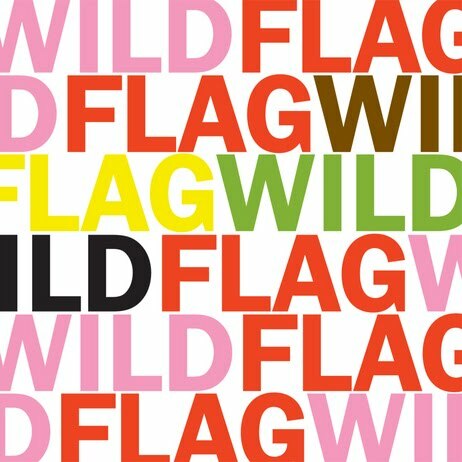 WILD FLAG – Glass Tambourine 7” (merge) – This is their record store day release, but they sold it on their recent tour. The B-side is Future Crimes. Produced by Britt Daniel of Spoon. WHITE HILLS – Abstractions & Mutations (self) – “Second edition is limited to 200 copies.” Download here. Found via google search. This entry was posted on March 27, 2011 at 12:52 pm, filed under News.